Velcro D-ring strap secures holder in place. PVC inner lining prevents dripping. 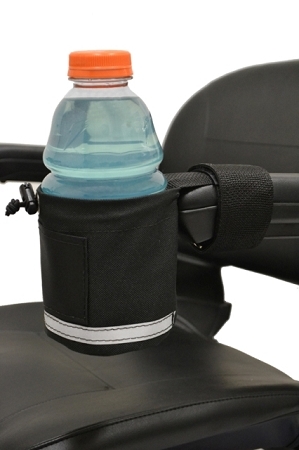 The Front Mount Unbreakable Cup Holder is durable polyester fabric cup holder with a front mounting system. 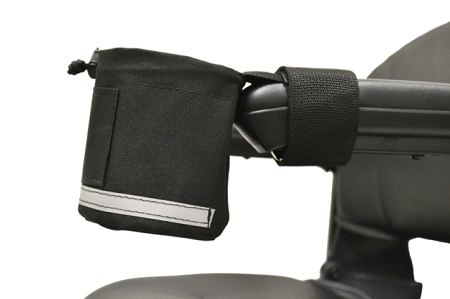 An adjustable strap securely attaches the holder in a horizontal position to the front of a mobility device. The cup holder measures 4 inches in diameter and will accommodate drink containers ranging from 1 inch in circumference all the way to large 32oz. bottles. A cord with lock ensures that the drink container will remain secure and upright. PVC lining inside the cup holder holds in condensation from your cup or bottle and prevents dripping. 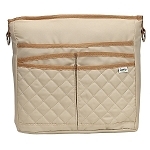 The holder has a handy 2 x 4 inch fabric pocket on front for storing small items. 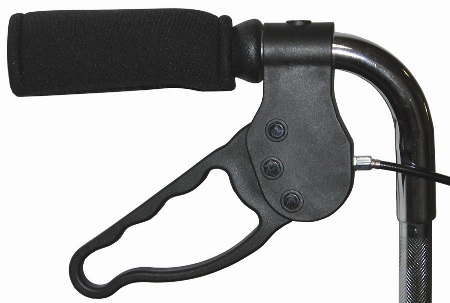 The velcro strap with D-ring secures the holder in place in the most convenient position for your mobility device. Material: 600 x 300 polyester. 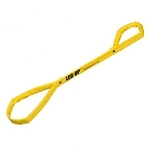 Strap Length: 16 inches long, 2 inches wide. 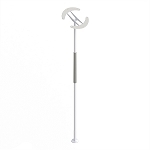 Holder measures: 4 inch diameter, 4.5 inches high. Color: Black with reflective safety tape trim. 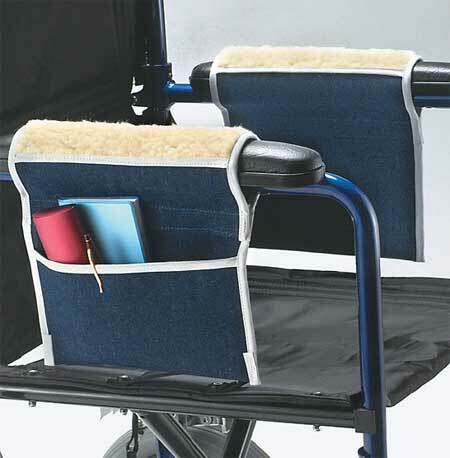 I have been searching for a looong time, and spent hundreds of dollars, for a cup holder for my power chair that I would not break off every time I went through a standard width door. I FINALLY FOUND IT! This is the greatest accessory I have ever bought. The mounting is almost perfect. It attaches securely to the armrest, and places the cup holder in front of the armrest so that it is not in danger of being ripped off. The only improvement I would suggest is placing a solid piece in the upper portion of the cup, so that it will not sag own. A bit more expensive than most, but well worth the price. works okay, but too expensive. Works great as long as mug not to heavy. Glad to finally have something to hold my drink. 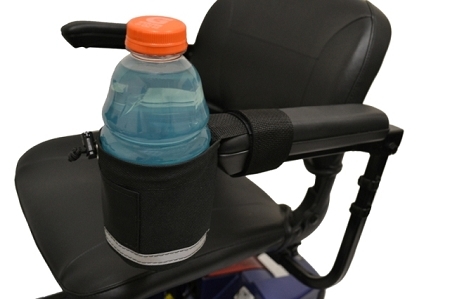 After reading many reviews on cup holders for wheel chairs, this one seemed to be the best. One of the biggest complaints in regards to cup holders is that they break fairly easier if the are made out of harder material, just by bumping them and/or even loading and unloading the chair. This one is made of pliable material and it doesn't break it just folds. I love it. I put my 36 pre-chilled cup into it each time I go out and it does great. I highly recommend, especially for the people who are rough with their chairs. 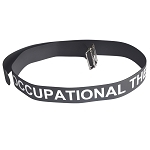 Q: ccan this be used to carry cell phone when no drink is needed? A: Sure, it could be used for any small item(s) if a cup was not in use.